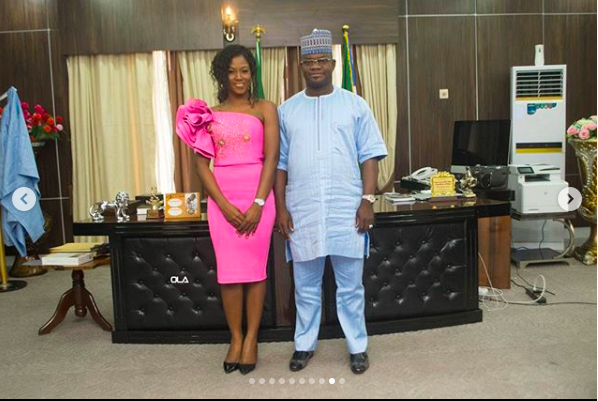 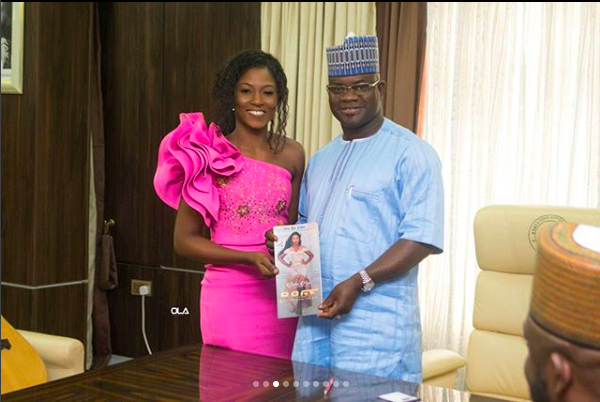 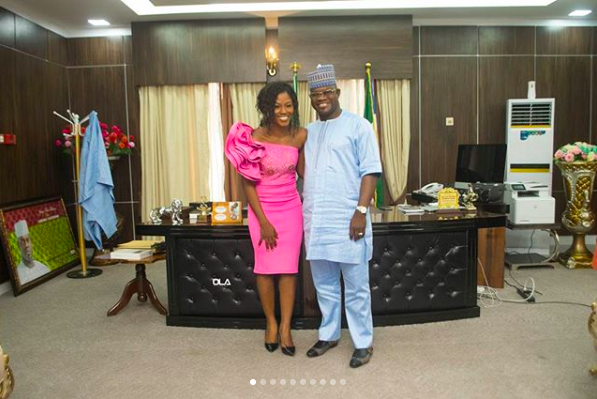 Former Big Brother Naija contestant Debie-Rise on Thursday shared beautiful photos from her visit to Kogi State governor, Mr. Yahaya Bello. 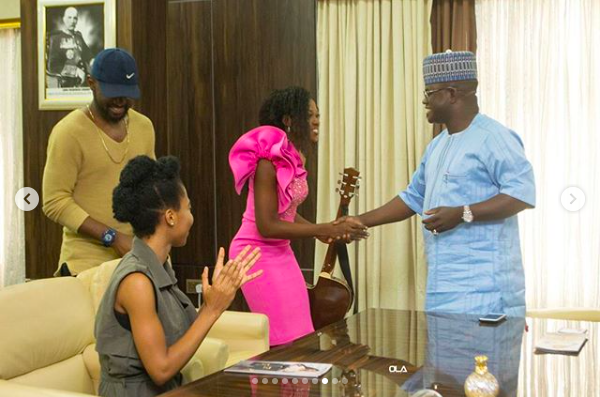 The singer and guitarist whose real name is Deborah Ebun, visited her state governor while on nationwide tour for her single, which is set to drop before the month runs out. 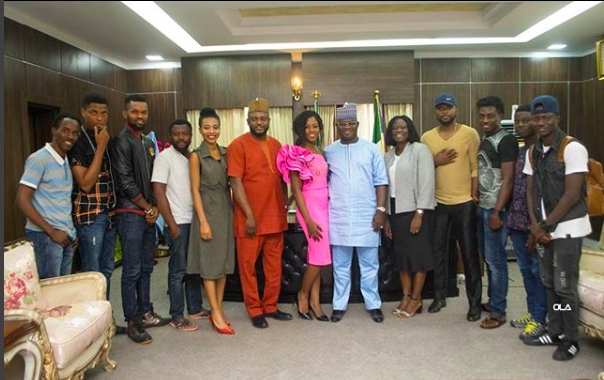 The tour which commenced on 1st of September will end on October 29, 2017. 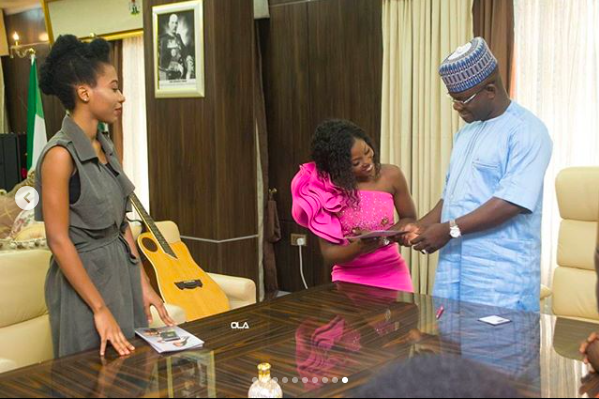 Debie Rise was spotted with her famous guitar which she entertained the Governor and his guests with. 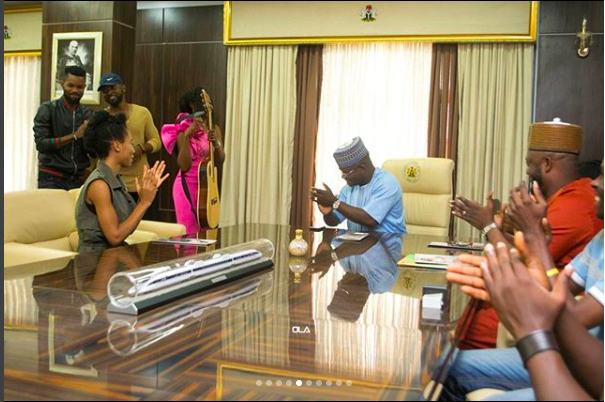 Bello's Chief of Staff and the Secretary to the State Governernt (SSG) were also present during the courtesy visit. 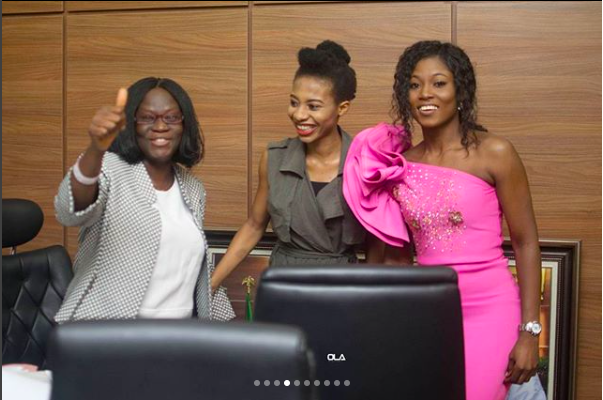 Debbie Rise was the fifth runner up at the Big Brother Naija reality show and was rumoured to be in a relationship with one the contestants on the show Bassey Ekpeyong shortly after it ended.